In the sidebar, in addition to the submenu is also the image with the location of offices. To display it, we will approach the component “panel”, more exactly – its variation ‘main panel’ (panel-primary) for coloring title. 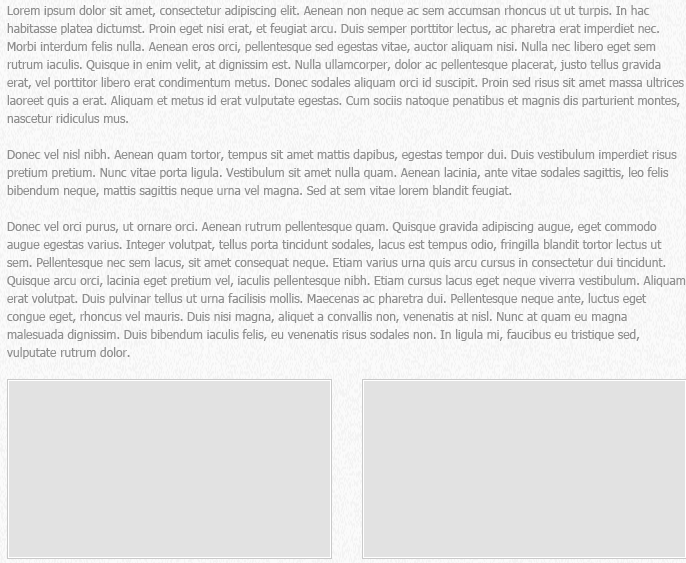 This component contains the header block (panel-heading) and the content block (panel-body). Then we add class img-responsive for the image map, that will decrease the image for small screens (responsiveness). Here we have removed the shadow of panels, set custom margins and set own font for the header. 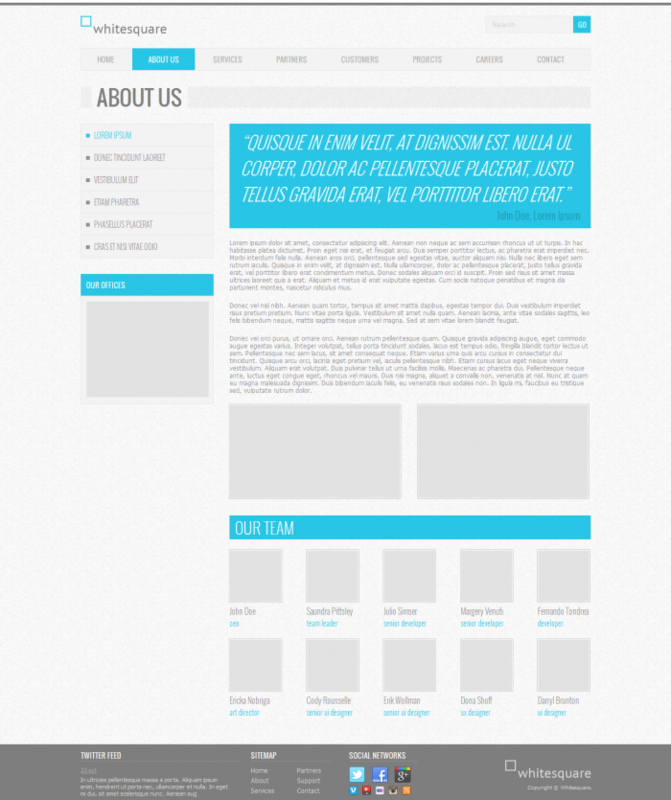 We will start the layout of the content by adding the quotation. "Quisque in enim velit, at dignissim est. nulla ul corper, dolor ac pellentesque placerat, justo tellus gravida erat, vel porttitor libero erat." Here we remove rounding corners, paddings and decorations of the quotation that are defined in Bootstrap by default. We also add our font styles. In addition to paddings and fonts, we modified the class col-sm-offset-1. The standard margin was too big, so we changed it to 3.7%. Footer consists of four major parts: the Twitter feed, site map, social links and logo with copyright text. Tag footer defines a gray area across the width of the screen, and internal container displays another area that is centered on the large screens and sets the height and margin of the footer. 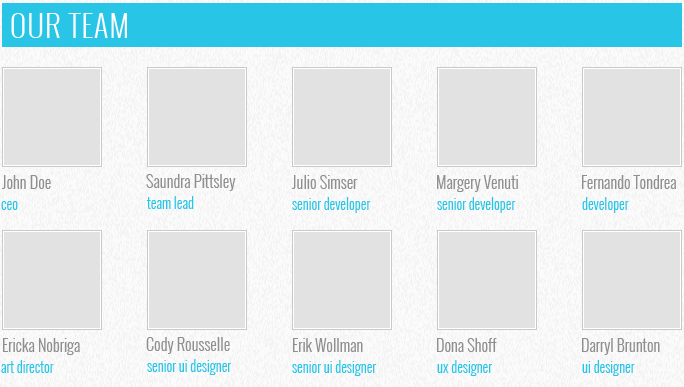 To align blocks within the footer, we use columns. For all titles of footer we specify fonts and margins, and underline the bottom frame. For paragraphs we set paddings. For the link that displays the date, we set the color and underlining. Here we used the technique of sprites – when one image file is used for different images. All links are divided into large icons (.social-icon) and small (.social-icon-small). We set our sprite image to these classes as inline block with with fixed sizes and the same background. And then with CSS we shifted the background so that each link will display the corresponding image. Block with copyright and logo – it is a picture with link and a paragraph with text under it.